Financing a car can be a real pain at many dealerships. Bob Moore INFINITI strives to make the process as smooth and convenient as possible. Our experienced and knowledgeable INFINITI finance professionals have established relationships with many lenders, so they can get you as many car loan options as possible. Of course, our staff will also be happy to help you choose between different loan options, if necessary. We can help you finance any vehicle in our inventory, whether it’s a new, Certified Pre-Owned or used vehicle. After you’ve found your dream car at our dealership, we’ll do everything we possibly can to make your automotive dreams come true. We offer different options for down payments and the length of the car loan to make it easier for you to get the vehicle you really want. 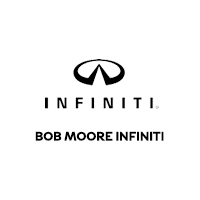 Visit the Bob Moore INFINITI finance center in Oklahoma City today. Speak to our highly knowledgeable staff about your various financing options. While obtaining a car loan is the most popular option when financing a vehicle, a car lease may be a better choice for some drivers. Car leases have multiple benefits over car loans. For one, the monthly payments for a lease are generally significantly lower than those for a loan. Also, car lease agreements are usually shorter, which allows drivers to get into a new vehicle more frequently. A car lease may not be the right option for some drivers, however. Automotive leases usually have strict mileage limits, so drivers that put a lot of miles on their vehicles may want to obtain a loan instead. Also, leases are generally only available on new vehicles, so motorists that want to get a Certified Pre-Owned or used vehicle will need to get a loan. If you’ve been looking into getting a car lease at a local car dealership, Oklahoma City-area dealer Bob Moore INFINITI can help. Visit our finance center today and explore your lease options. The Bob Moore INFINITI website allows interested drivers to get pre-approved for the vehicle of their choice. All you have to do is browse our site until you find the right vehicle. Simply follow the simple directions to apply for pre-approval. Drivers that have been pre-approved can bring their quote into our dealership so that our finance staff can finalize the agreement. Take a look at the INFINITI Finance application on the Bob Moore INFINITI website today. When you find your next dream car, apply for pre-approval quickly and easily. Here at Bob Moore INFINITI, we understand that many drivers will want to trade in their current vehicles to get a significant credit toward one of the vehicles we have in stock. You can get the ball rolling by obtaining a trade-in quote on our website. Bring this quote in along with your current vehicle, and we’ll make you a final trade-in offer. Trade in your current vehicle at Bob Moore INFINITI, Oklahoma City’s preferred luxury vehicle dealership. Visit our location and complete the trade-in process today. Drivers in the Oklahoma City area can come into the Bob Moore INFINITI finance center today to learn more about their financing options. Our top-notch staff is standing by to help you obtain your dream car. Visit our car dealership in Oklahoma City, OK today!